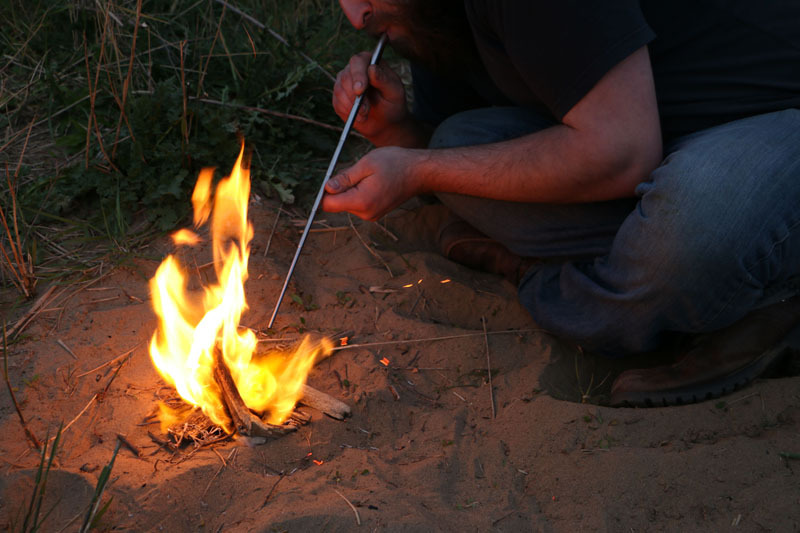 A practical, pocket-sized accessory that makes fire-lighting a breeze, not a chore. 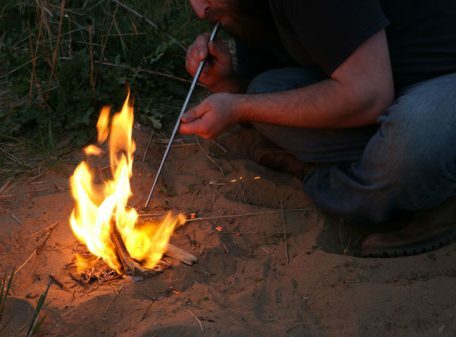 Sturdy stainless steel construction for a lifetime of trouble-free fires. 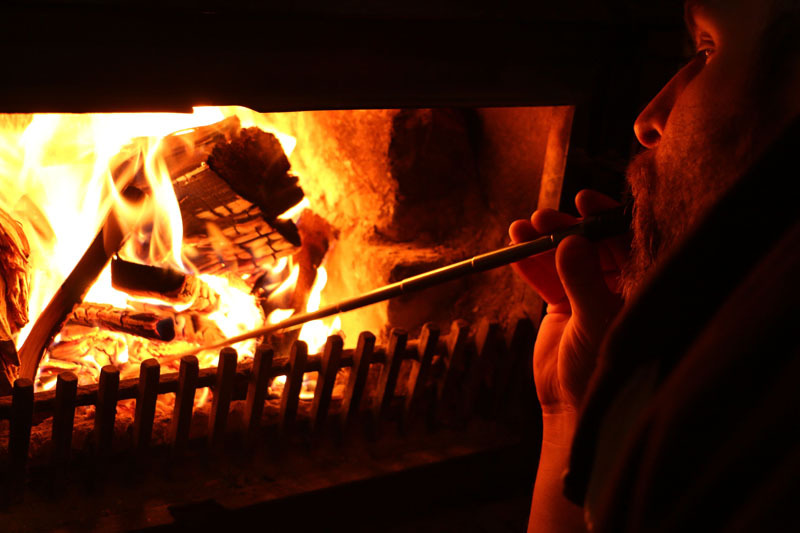 The telescopic tube extends to 44.2cm (17.4”), allowing you to directly blow extra oxygen into the heart of the fire, turning even the most difficult-to-burn fuel into a stable fire within minutes. 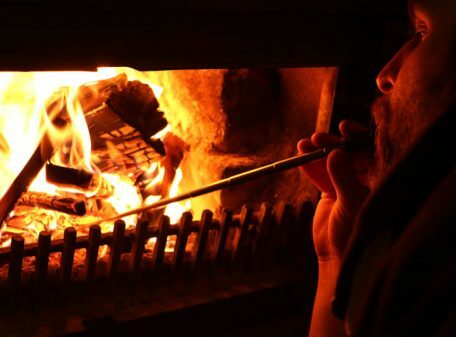 It keeps you a safe and pleasant distance from the heat of the fire and helps keep nasty smoke out of your eyes! 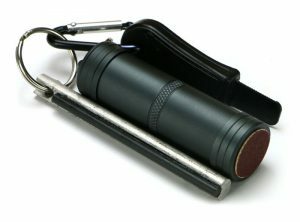 When collapsed down it is only 9.2cm (3.6”) long, and it weighs a mere 25g (0.88oz), making it effortless to carry for camping, hiking, outdoor parties and barbecues. 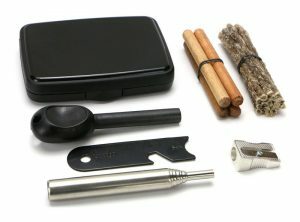 It has a place even in the most lightweight of hiking loads, and is an ideal accessory to pocket wood stoves. 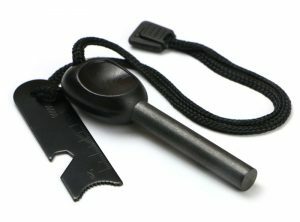 The Spitfire Pocket Bellows is a simple yet highly effective tool that helps get your fire established quickly, and works perfectly for re-lighting a dying fire or embers. 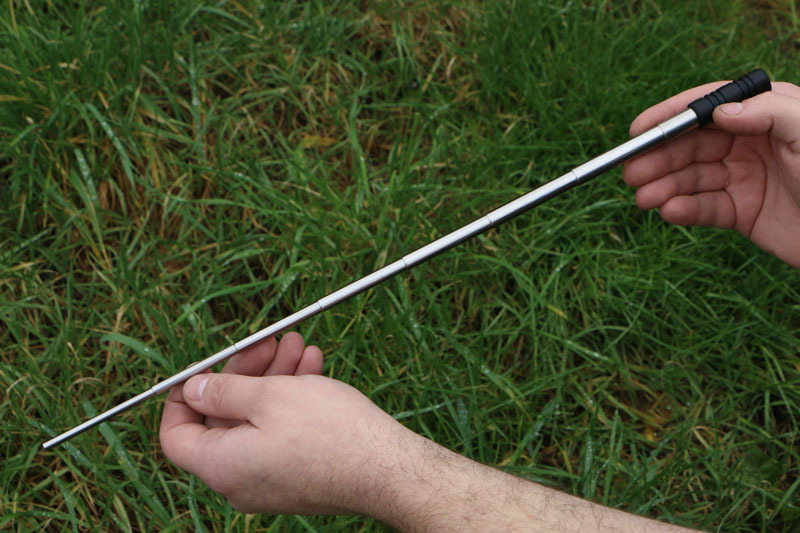 Simple in operation; extend the bellows out to its full length of 44.2cm (17.4”), and with the larger diameter end in your mouth, point the other end into the heart of the fire and blow gently. This will direct additional air (containing oxygen) into the fire; an essential part of the ‘fire triangle’ which consists of Oxygen, Heat and Fuel. With additional oxygen it is amazing how quickly a fire increases in intensity, even from a weak fire that would otherwise go out. No more struggling to get the fire going! 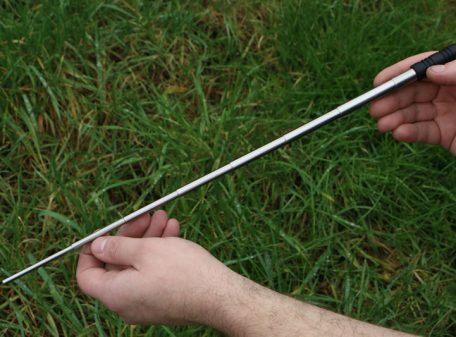 Once you carry this tool you can impress friends by getting that campfire, fire pit or barbecue going first time, every time. 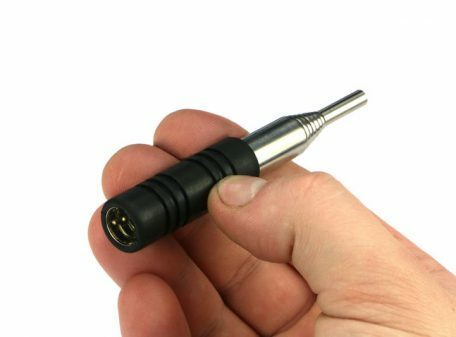 When not in use it can be instantly collapsed down to just 9.2cm (3.6”), so it can be carried in even the smallest of pockets, and at 25g (0.88oz) it will not be noticed when added to your camping or hiking gear. 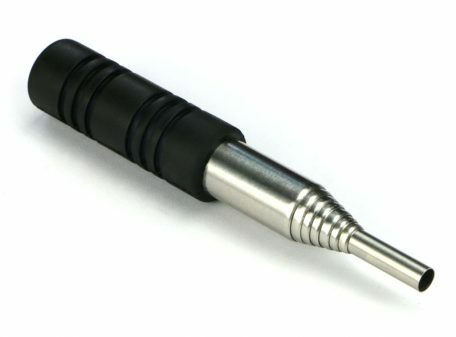 Size: 92mm length (collapsed) x 16mm diameter. Weight: 25g. Made in the UK by Polymath Products. Product for use by adults only. I ordered this at mid-day on a Wednesday and it arrived at 10.30 the next day, post free! 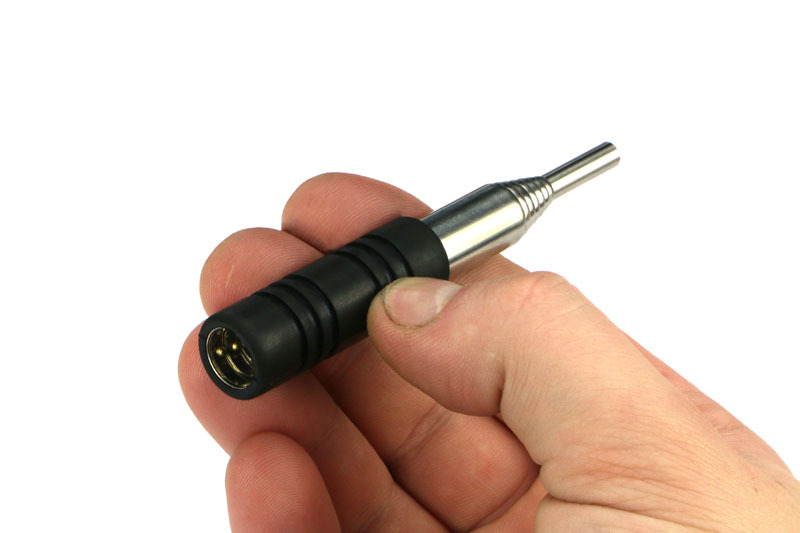 The pocket bellows is well made, efficient and a bargain at this price. It also came with a complimentary mini chocolate Kendal mint cake. What’s not to like? I shall be a returning customer and recommend this to anyone who’ll listen. Excellent customer service and excellent product, I’m very pleased. Many thanks. Size: 95mm length (collapsed) x 16mm diameter.